Cusco Pillowball Upper Mounts give you control over unwanted forces under acceleration and braking. 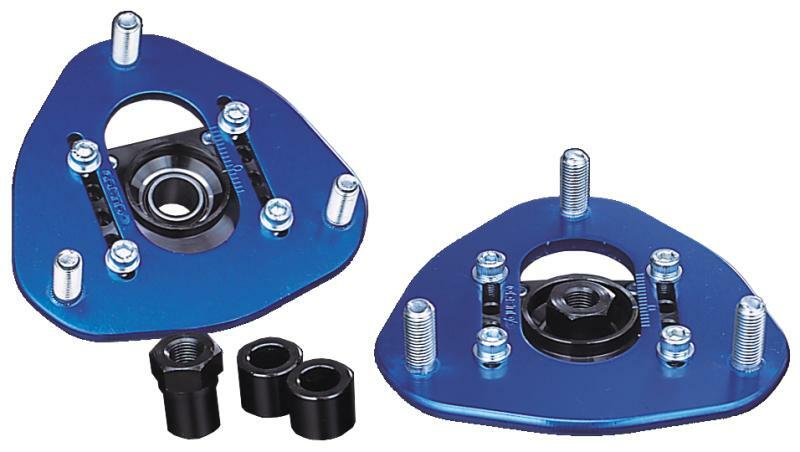 Both center lock and camber adjustable upper pillow ball mounts improve steering response and performance. A dramatic increase in stability over bumps and high-speed corners keeps you on your intended line, while stability and safety under corner braking is also increased. Both center lock and camber adjustable type available. 6mm thick plate uses 2017S duralumin. Camber adjustments can be made using the adjustable type upper pillow ball mounts.